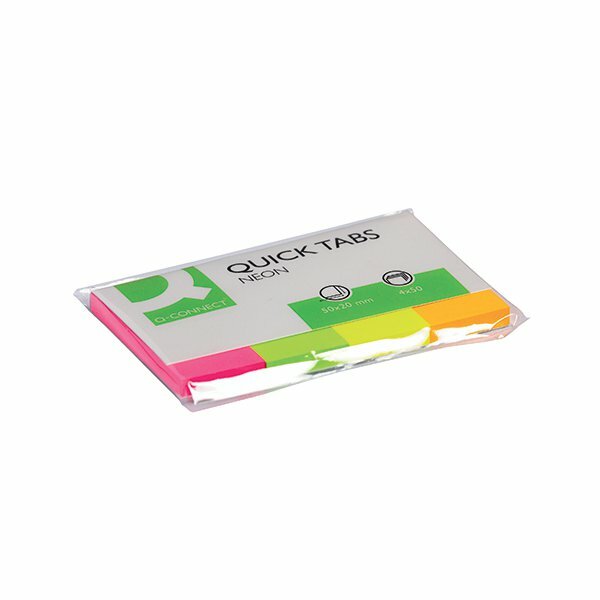 These Q-Connect Quick Tabs are perfect for marking pages in books. With glue that is designed for easy application and removal, you can reposition and re-use these tabs as required. 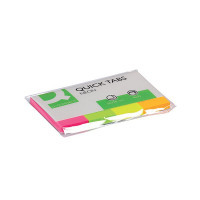 The tabs measure 20 x 50mm and come in 4 bright neon colours: orange, yellow, green and pink, allowing you to implement a colour coded system that makes organisation easier. This pack contains 50 tabs of each colour (200 tabs in total).